Pick your speaker of choice. A collection of conference talks of Br. Andre Marie, M.I.C.M., Mr. Potter, Dr. Robert Hickson and C.J. Doyle from 1997-2015. Get all the conference talks from the speaker of your choice. On a flash drive so you can easily put it anywhere from computer to a mobile device. From 1997 you have the following amount of talks from each speaker. 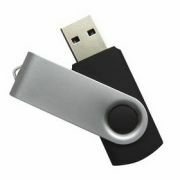 The files on this flash drive will be mp3 audio files.